The Ukrainian army tried to approach the city from two sides, the press service of the self-proclaimed Luhansk People’s Republic said. 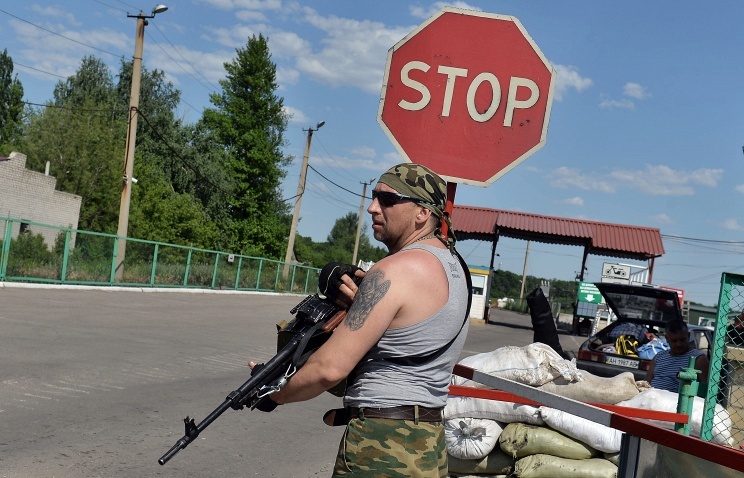 “In the first half of the day July 19 active fighting took place in the vicinity of Luhansk. The Ukrainian army tried to approach the city from two sides… apparently facing two tasks: to cut off the road to Donetsk and unblock the airport. In both directions, the aggressor was fought off by the LNR units… as a result, the enemy sustained serious losses both in manpower and materiel, retreating from its positions,” the press service said. About 11:00 local time, Ukrainian Air Force helicopters fired at the militia positions near the town of Aleksandrovsk but “the missiles missed the target”, the press service said. It said the Ukrainian army’s artillery fire had practically destroyed the village of Popasnoye. Its residents “are hiding in the cellars to avoid sniper fire”. The army also conducted fire in Severodonetsk and Lisichansk. Ukrainian Defence Minister Valery Geletei earlier reported to President Pyotr Poroshenko that the army had taken the south-eastern part of Luhansk and its airport under control. However, the LNR press service denied that. “The Ukrainian troops did not take any parts in the south-east of Luhansk. Everyone remains on its previous positions,” it said.